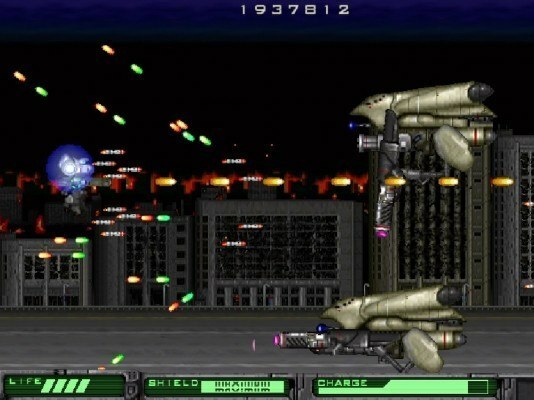 The side-scrolling shooter is back! 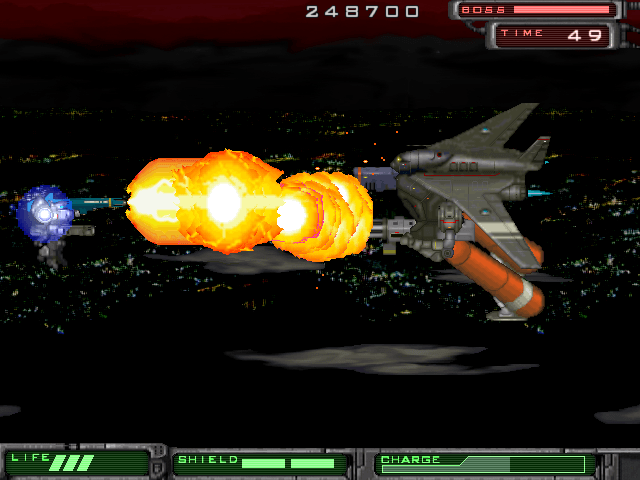 16-bit hero Armed Seven brought a nostalgic tear to Steam’s eye last week. 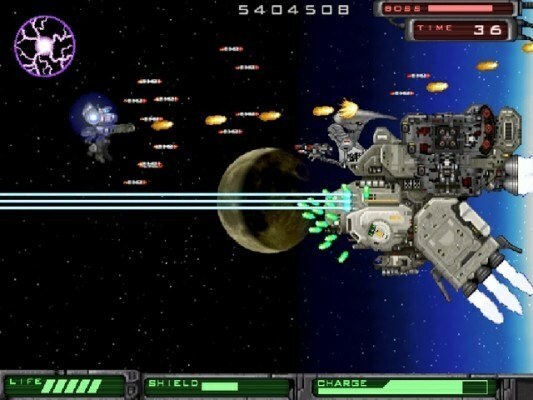 With 7 stages of often brutal space warfare and 12 customizable weapons, simplistic design and mechanics, and competitive online leaderboards, it stands apart from the onslaught of recent 80’s-esque indie games. It’s not easy fighting to save the world from an army of “Gogoh” aliens, and it’s certainly no easier when you don’t really know why you’re doing it. There’s plenty of storyline available on the game’s official website but unfortunately not much of this is reflected in the game itself. After a basic introduction to the situation at the start of the game, you are thrown to the fire to fend for yourself, but it kind of works. It’s a ‘just shoot the guys that are shooting you’ dynamic that never gets old. The fact that this title is so succinct in both its plot and overall game length is fairly reminiscent of the era it is harking back to. With very little in-game storyline, Armed Seven relies on surrounding media to tell the story of the game much in the same way as previous titles would have with game manuals and box information. What Armed Seven lacks in plot, it certainly makes up for in loud, adolescent gameplay. Big guns, big explosions, and big rewards make for the intensely exciting experience that made similar games back in the day so successful. Enemies evolve as you rise through the stages, and the bosses at the end of each level are unique with varying weaponry and attack tactics. Though it is a shame that the damage you are inflicting isn’t reflected in the presentation of the enemies, these bosses have a health meter which lets you know just how close you got before you were incinerated by lasers. Levels are repetitive in design, but focus is really placed on practice with online leaderboards pushing for higher scores and quicker success times. You are handed a range of high-tech weaponry at the start of the game, however this is selected once and once only before you begin the playthrough so make your choices wisely. You are offered a choice of 12 guns from 3 categories; a main weapon, a sub-weapon, and a charge weapon. The selection is pretty standard, however charge time is a factor that can make or break your playing experience. Charge Weapons need time to replenish energy, with the more powerful guns naturally taking longer to charge. Small-time charge weapons such as the Napalm Launcher, however, will do you just fine and see you blasting enemies with a full charge every 30 seconds or so. 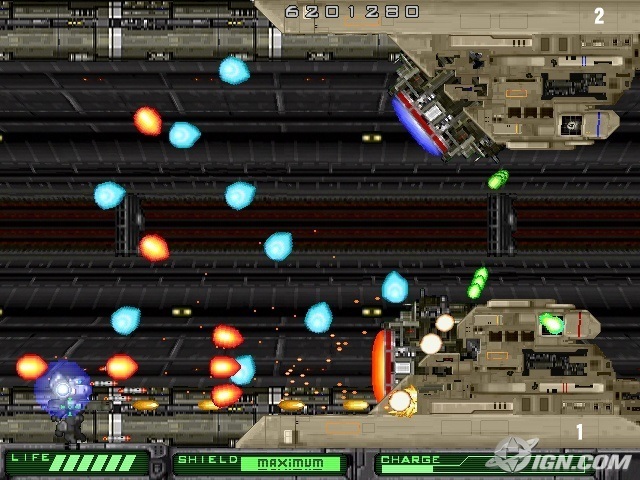 The overall design of Armed Seven reflects its simplistic yet refreshingly nostalgic gameplay. With a rousing synth soundtrack, and heavy sound effects, the game succeeds in its retro authenticity and presentation. The bare backgrounds encourage appreciation, their sparsity lending itself to the game’s overall emphasis on thrillingly hectic gameplay. Practice certainly makes perfect in this devilishly tricky arcade style shooter, however it certainly pays off and the end result is an addictive but rewarding game that effectively harks back to a much simpler time.